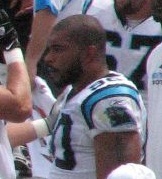 Following Panthers safety Mike Minter's retirement after the 2006 season, Peppers was named as the Panthers defensive captain. 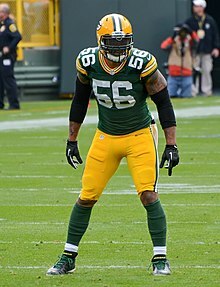 Peppers had a down season in 2007 after only recording 30 solo tackles, 8 assisted tackles, 2.5 sacks, 3 forced fumbles, 2 fumble recoveries, 1 interception, 5 passes defensed, 1 stuff, and 2 blocked kicks. Before the season started, Peppers suffered from an undisclosed illness and lost weight which is assumed[by whom?] to have played a part in his down season. Peppers also missed the final two games of the season with a sprained MCL in his right knee. This page was last edited on 19 April 2019, at 22:51 (UTC).